Chief Minister of Karnataka HD Kumaraswamy, who also hold the finance portfolio, presented the maiden budget of the JDS-Congress government since its formation in 2018. On expected lines, the state budget envisaged comprehensive sops and new programmes in the agriculture and irrigation sector. On the back of the prevailing drought situation in the state, the government expects the Gross State Domestic Product (GSDP) to grow a tad bit slower than last year. GSDP is expected to grow at 9.6 per cent this fiscal against 10.4 per cent in 2017-18. However, the industrial sector is expected to grow to 7.4 per cent from 4.7 per cent last year. Services sector is expected to remain flat at 12.3 per cent, the same as last fiscal. To tackle the twin problem of productivity and pricing, the state government in its budget announced a slew of measures. 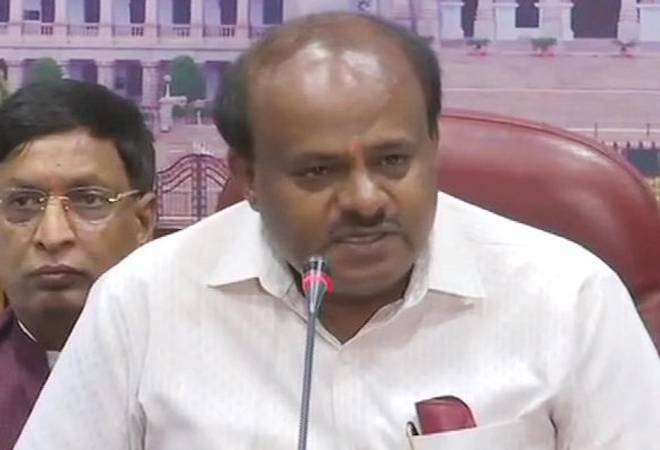 Earlier in the day, taking on Prime Minister Modi, Kumaraswamy urged the opposition parties to unite in calling out 'lies' with respect to the remarks made by prime minister Narendra Modi on farm loan waiver scheme in Karnataka. Laying out the complete details of farm loan waiver in the budget, the government said that as announced in July 2018 budget, out of the provisioning of Rs 6,500 crore made in 2018-19 for commercial banks, so far only Rs 2,850 crore has been released to 6 lakh beneficiaries . For the cooperative banks, the entire budget provision of Rs 2,600 crore, meant for crop loan waiver scheme, has already been released reaching 5.97 lakh farmers. Under the current budget, a provisioning of Rs 6,500 crore for commercial bank crop loans and Rs 6,150 crore for co-operative bank crop loans has been made to meet the entire loan waiver target. The government also expects the co-operative loan waiver process to be completed by June 2019 and commercial bank loan waiver by fiscal year 2019-20. Chief minister also stated that a representation had already been made to the Central government to provide Rs 2,434 crore package for Kharif crop, but only Rs 950 crore has been sanctioned. The government has again sought Rs 2,065 crore for the Rabi crop in the wake of the drought in several districts of the states. Rs 250 crore subsidy for Krushi Bhagya Scheme for construction of farm ponds to provide conserved water to dry land farmers. Rs 40 crore allocated to continue Zero budget farming. Rs 35 crore for encouraging organic farming. Rs 145 crore for Israel model of micro irrigation system to grow crops profitably by utilizing less water. Assistance of Rs 7,500 per hectare to motivate farmers to cultivate paddy under the scheme called "Karavali package" with Rs 5 crore grant. Special package of Rs 150 crore to improve the economic condition of grapes and pomegranate growers.